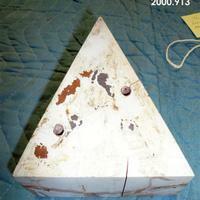 Wood base painted white triangular in shape with holes in top. Unknown as to which sculpture sits on this base. 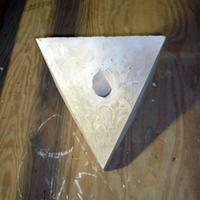 Triangular plaster base with hole.